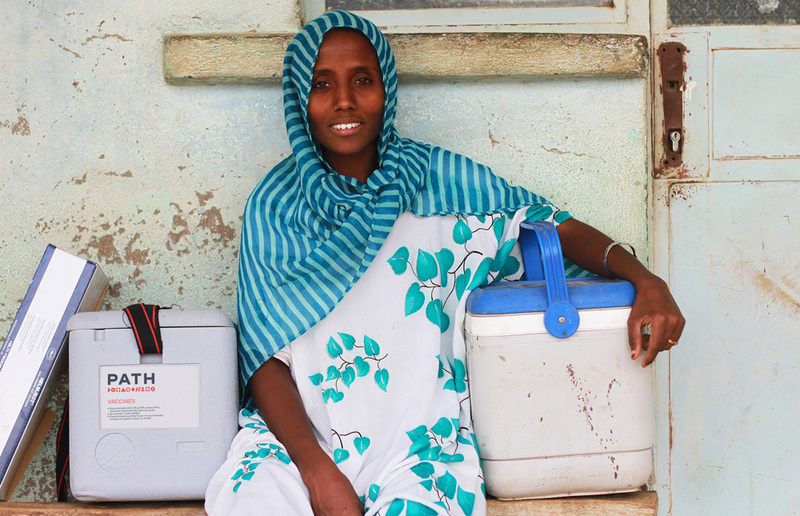 Established in 1977 (originally as Program for Appropriate Technology in Health), PATH is a non-governmental organization that works to accelerate health equity around the world by bringing together public institutions, businesses, social enterprises, and investors to solve the world’s most pressing health challenges. 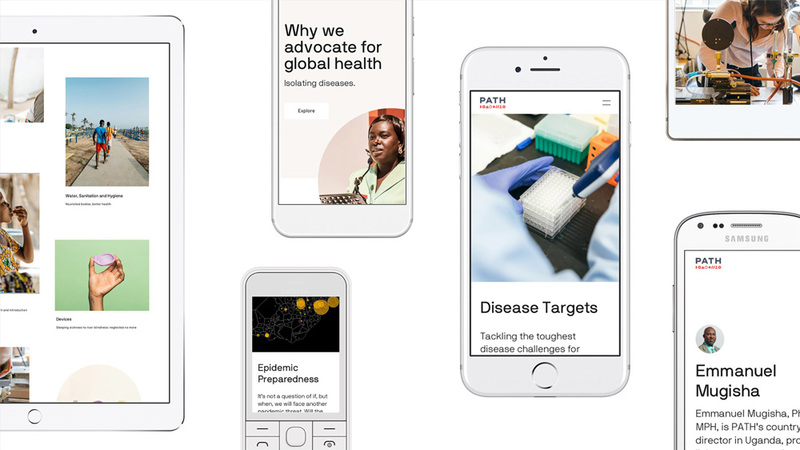 With 1,600 employees working in more than 70 countries, PATH develops and scales health solutions like vaccines, drugs, devices, and diagnostics, to strengthen and improve health systems worldwide. 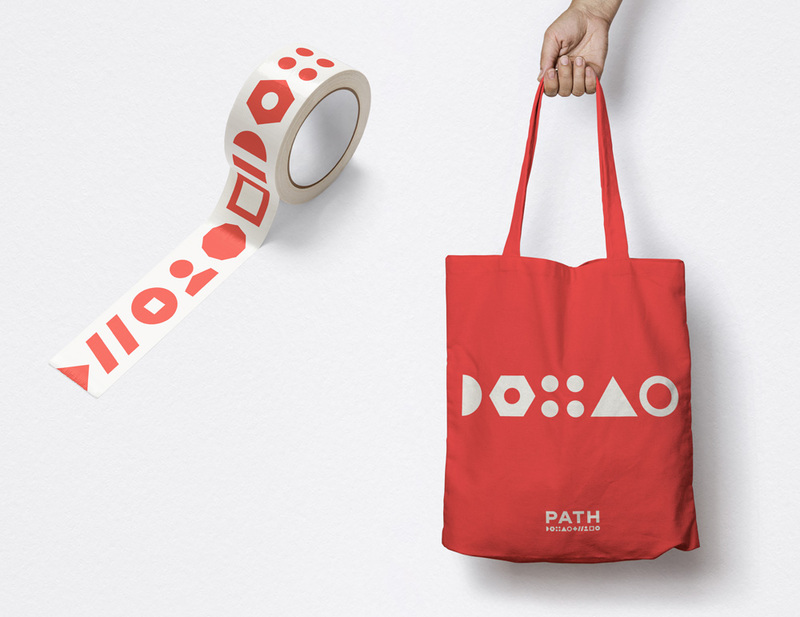 This past July, PATH introduced a new website designed by Portland, OR-based Instrument (that also worked on the brand strategy) and new identity designed by San Francisco, CA-based Manual. 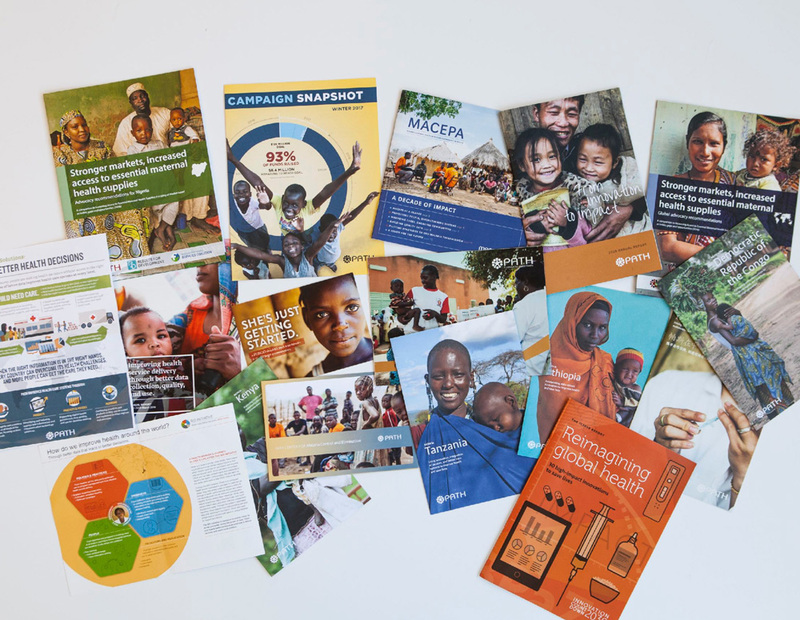 Sample materials of OLD identity. Regular and small size logo variations. It’s hard to knock on the logo of an organization that does so much good in the world but the old logo wasn’t particularly attractive. The icon was sort of interesting and maybe with a better balance of how the dots sat within the asterisk it could have been better but the wordmark had no redeeming qualities, especially not in its horizontal scaling. 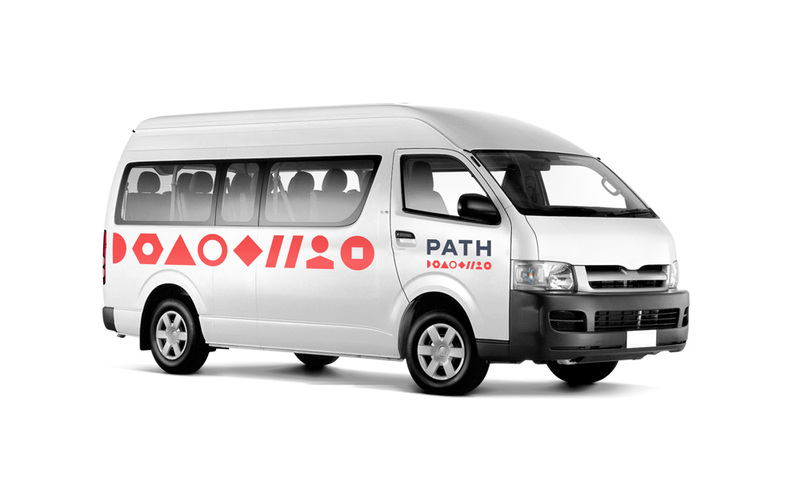 The new logo is unexpected not just for an NGO but for any kind of company. 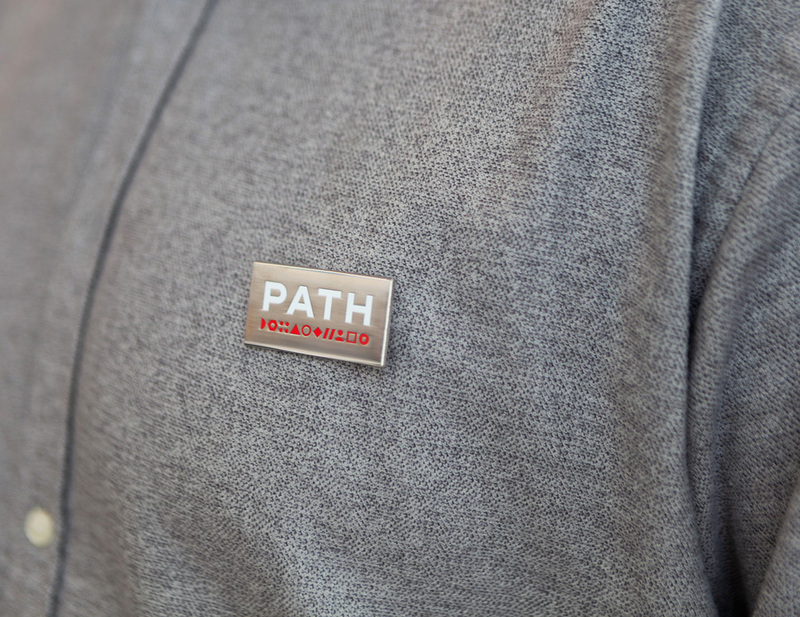 The wordmark itself, of course, is not the unexpected part — this is a nice, simple, straightforward wordmark. It’s the icon underline that is intriguing, different, and unique. The first inclination is trying to decode it, as if it stands for something… there is a nut (of the bolt kind, not the squirrel kind), perhaps two slashes from a URL, a person for sure, but then the rest are abstract so it becomes almost like some kind of chemistry or physics sequence, but in the end it simply comes across as many things working together to build something bigger. 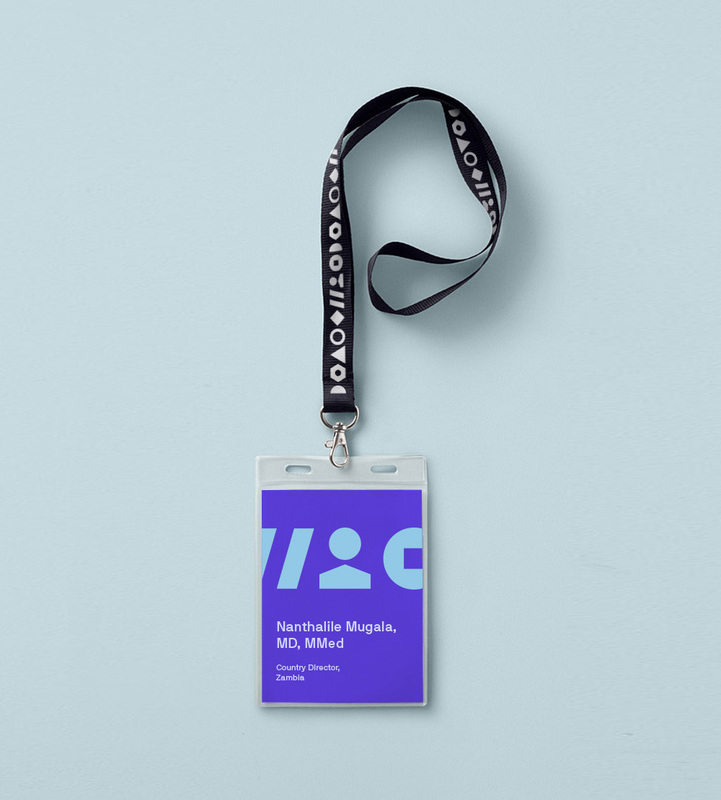 Visually, it’s great, and, as the seed of the identity system, it’s very smart. 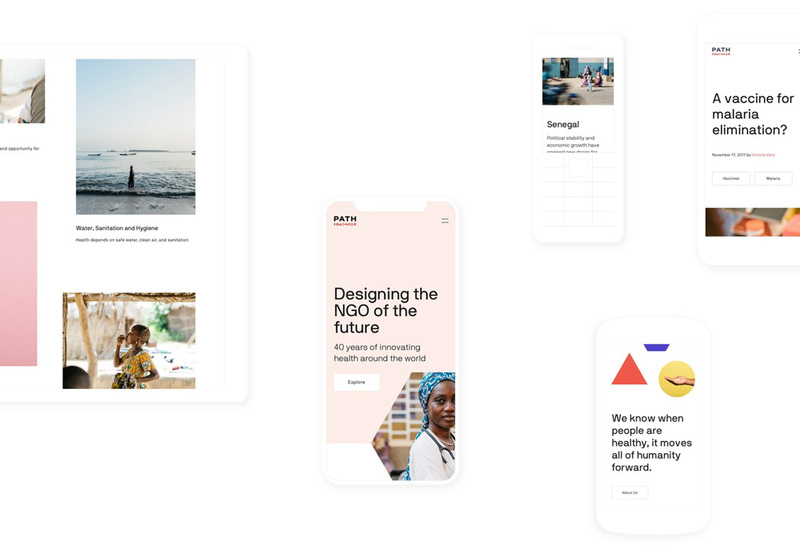 The applications are really good, straddling various moods by coming across as a balance of feeling corporate, medical, nonprofit-ish, and even a little techie. 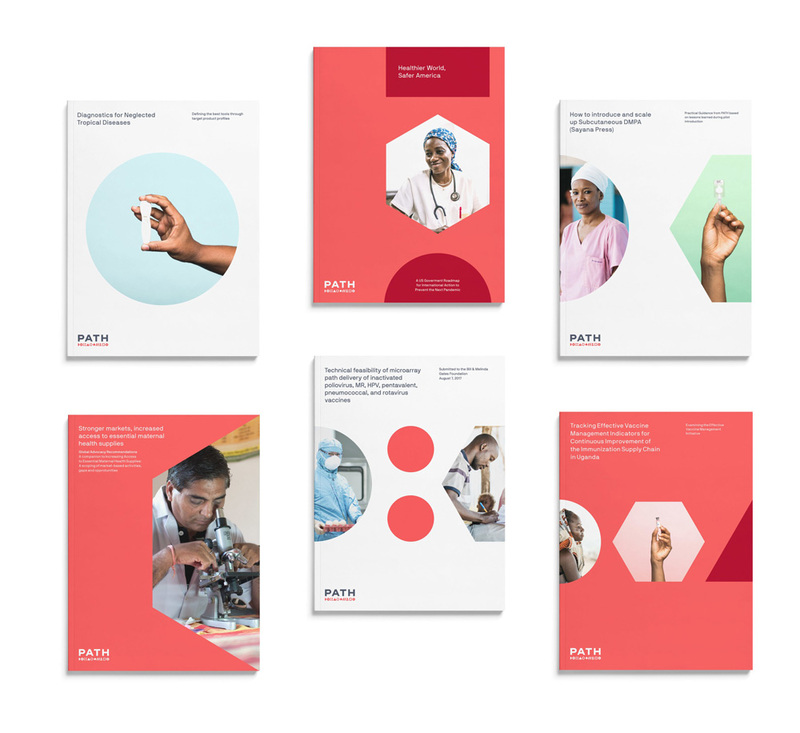 I realize that doesn’t make a lot of sense but I see the report covers and they could easily be for a Fortune 500 company, a Sillicon Valley powerhouse, or an innovative pharma company — but all of them not evil. I love the integration of the icons in different ways: with or without photography inside, large or larger, and scrolling across the layouts vertically or horizontally. It’s a strong, flexible system. Online presence. 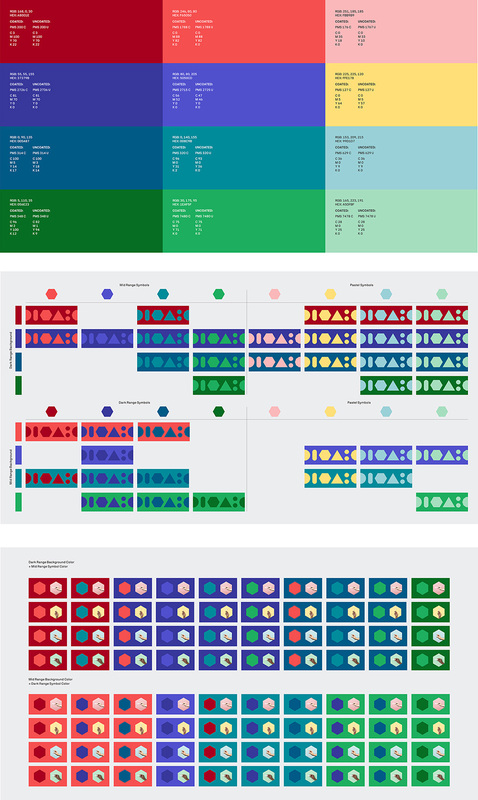 Designed and developed by Instrument. 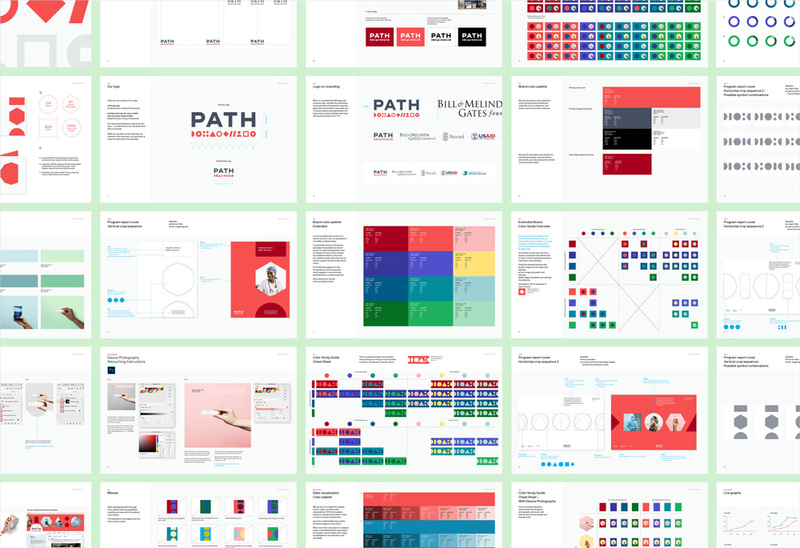 I usually don’t say anything about websites but the PATH website is quite nice. 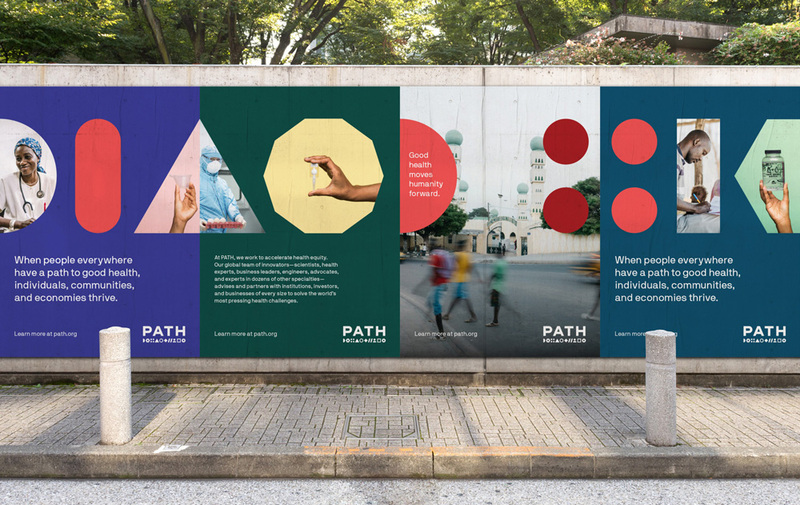 Overall, this is a great redesign that gives PATH a confident identity and one that establishes it as a leading, global NGO. Thanks to Ken Zinser for the tip.